The 36 State Houses of Assembly have unanimously endorsed local government autonomy for grassroots development in the country. This was part of the resolutions adopted yesterday at the conference of Speakers of state legislatures of Nigeria in Yola, with all the 36 states Speakers in attendance. The chairman of the conference, Hon. 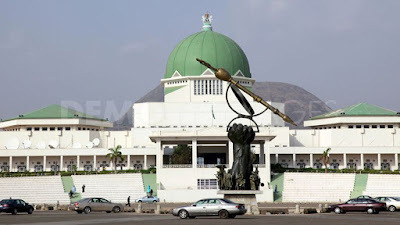 Ismail Abdulmumini Kamba, who is also Speaker of Kebbi State House Assembly, said public hearing on the autonomy will be conducted across the country for more inputs from Nigerians. Kamba explained that far reaching decisions and inputs aimed at positioning the country is expected at the end of the public hearing. He reiterated the commitment of states assemblies in pushing forward the idea of devolution of power for sustainable growth and development. “The State Houses of Assembly are ready to push forward the idea of devolution of power in the country. We urged the National Assembly to hasten the transmission of the approved Bill to respective state assemblies for inputs and subsequent approval”, Kamba explained.